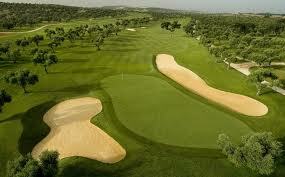 Golf Holidays In Costa De La Luz – Simply A Dream Come True! If you are looking for a relaxed holiday spot for this summer vacation, then Costa De La Luz is perfect to be considered. This particular region of Spain is a division of the Andalusian coast of Cadiz. Families come here to enjoy several sports activities such as golfing. This place is famous for enjoying beach holidays as the balmy weather welcomes every excursionist with open arms. Accommodation and hospitality has several options at this place. The commendable service they provide will make you surprised and you will love to visit the place again and again. This region covers the beautiful provinces of Huelva and Cadiz, which further elaborates its beautiful site seeing experience. There are a lot of things to be explored by the excursionists. This region is known for its beaches, weather, rich topography, vivid and picturesque beauty, and delectable cuisine. The vacationers can enjoy fine dining and relaxing ambience at the beautiful seaside resorts. You can also enjoy the surfing activity if you are a true surfer such as kite surfing, wind surfing, etc. Boating and other various water based recreational activities let you enjoy your golf holidays in Costa De La Luz with full zeal. This location is notable for its beautiful natural reserves which is one of the rarest attractions of the destination. Golfers and non – golfers have excellent choice and can be accommodated at many of high quality golf resorts, Islantilla, Montenmedio, Nova Sancti Petri, Fairplay Golf at Benalup, Arcos Gardens, Montecastillo and Barcelo Costa Ballena just to name a few which include a wide variety of luxury self-catering apartments up to five bedroom villas or both short and long term rental, and excellent service at he 4* and 5* hotels, where you can be accommodated on your personal choice of board options. Costa de la Luz is essentially a part of Huelva that offers a medieval setting along with narrow streets and historical edifices, which make this place more amazing to visit. Isla Canela, is a beach that forms a great venue for surfing and sailing. You can also visit Tarifa, presented in the province of Cadiz, which is known for the buzzing social scene. You will definitely love the friendly atmosphere and the mouth-watering local cuisine of this small town. This is the place where golfers both individually or in large groups and even catering for golfing families who can enjoy countless activities while adults can enjoy theirs. All year round golf holidays in Costa De La Luz will surely make you relax and enjoy your vacations with full satisfaction.